Amazingly tasty slow cooker spaghetti sauce! Somehow I kinda got things backwards this year…. Why do you say? It’s because I feel in love with my crock pot in the winter time, when it would be nice to turn on the oven and warm up my house…. as opposed to the summertime when it gets crazy hot in the kitchen and I was into my brand new oven! Hopefully this summer I can start to utilize some of my newly discovered crock pot recipes like this one for homemade spaghetti sauce….. In a skillet cook the garlic, onions and beef until brown. Drain and transfer to a slow cooker. Add remaining ingredients and cook on low 7-8 hours. Discard the bay leaf, and serve over pasta. To serve the first time, I just made a box of pasta (so we would have good leftovers) and poured the sauce over. 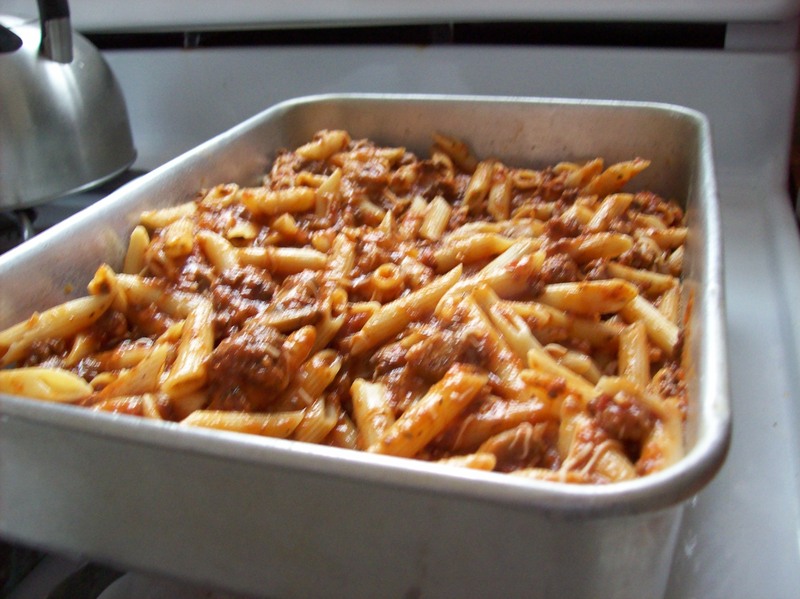 I actually made about 1/5 times this amount, and it was perfect for two boxes of pasta…. half of which I froze for a later use. The second one, we (by we I mean ME) tossed it with a cup of mozzarella and threw into a 9×13, topped with another cup of cheese and baked for 20 minutes. It was OH SO GOOD!